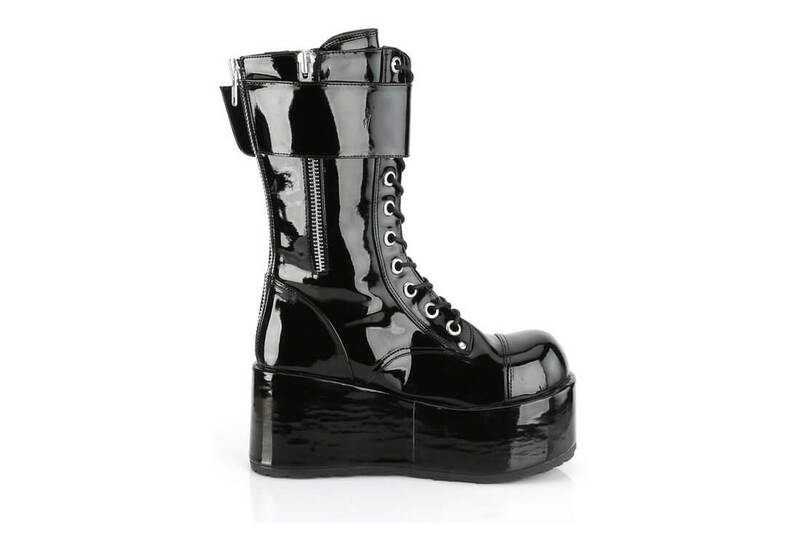 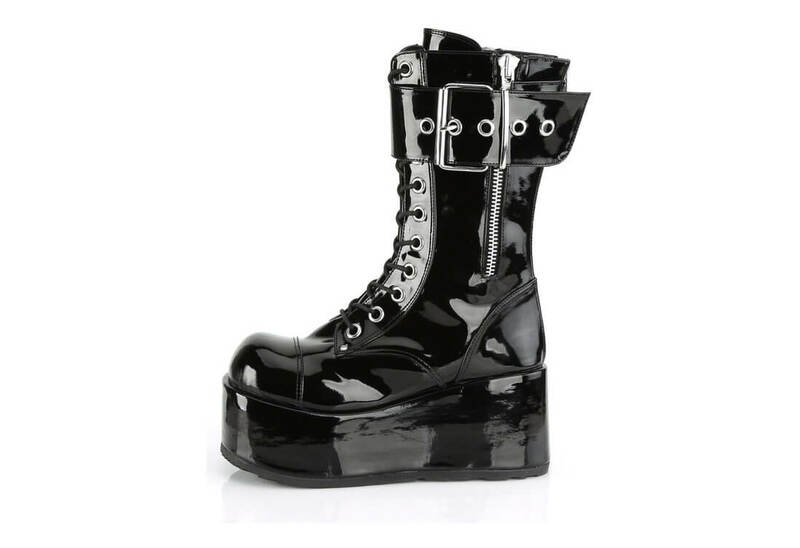 The PETROL-150 is an awesome shinny patent faux leather boot with a 3 1/2 inch platform. 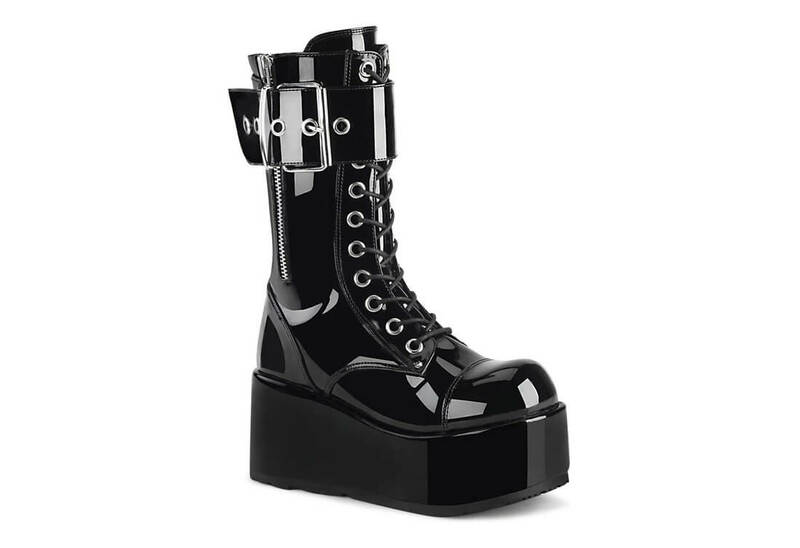 These mid-calf boots feature a full side zipper, an ornamental outer zipper and an over sized grommet buckle strap with roller buckle. 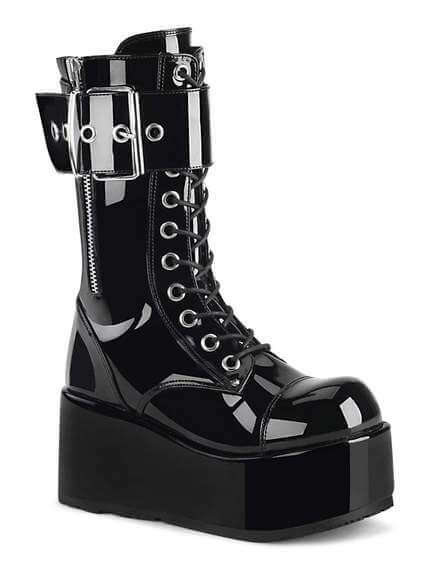 The front laces up so you get the perfect fit.